When the NHL removed the two-line offside pass rule from its rulebook after the NHL lockout that cost it the 2004-05 season, the goal was to increase the speed and flow of the game. While many hockey fans and NHL executives support the rule change as a good thing for the game, Hall of Fame defenseman Bobby Orr disagrees. 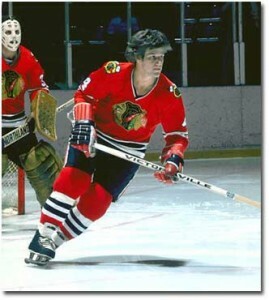 Orr completed his injury-shortened career as a Chicago Blackhawk. Orr, 68, revolutionized the game during a 12-year NHL career with his smooth skating style and his ability to carry the puck up the ice almost effortlessly. In Orr’s opinion, the NHL’s decision to remove two-line passes has not accomplished what the NHL had hoped it would. Instead, Orr believes it has not increased offense and made the game more dangerous. “If you have to carry that puck out of your end and make a pass, skate with it, it makes it different. I don’t think (removing the line) has increased the offense, nor has the trapezoid. It’s made it a dangerous game, guys flying out of their end, looking for that long stretch pass and bang, they’re being hit. These guys are so much bigger and faster than when I played,” Orr said. In July, Orr voiced his concern over the safety of today’s game and the NHL’s two-line offside pass issue. “I think the center line, with the size of our players and the speed of our players, we’re shooting the puck from the goal line to the other blue line, and guys are going through the middle looking back for the passes, I think our game has become more dangerous,” he told TSN’s Gino Reda. After making these sorts of comments twice in just over a month’s time, it is clear that Orr, now a player agent, is concerned about this issue. The question now becomes whether or not, in a game becoming increasingly more concerned with player health and safety, the NHL agrees with him?